The NetWITS approach drops the requirement of physical proximity while adding a LAN requirement . 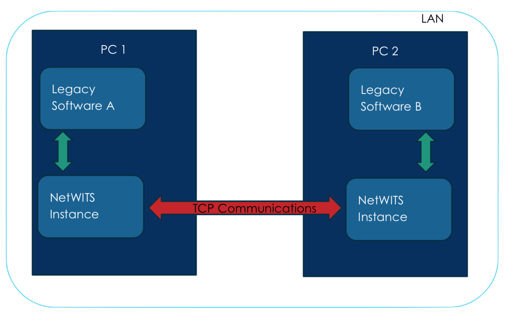 Instead of using physical cables, NetWITS uses TCP network communication to transport WITS packets from PC to PC. 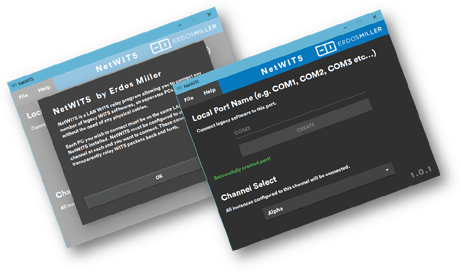 NetWITS also allows for more complex WITS network configurations as you are no longer limited to only point-to-point configurations. FILL OUT THE FORM TO DOWNLOAD NetWITS TODAY! Get NetWITS! It's free, forever.